The St John's School of Law Annual Reception for the Law Review Alumni Association was held on March 3, 2015 at the Metropolitan Club. Over 150 people attended. Hale Dorr, and in the firm\'s Litigation/Controversy Department, and a member of the Intellectual Property Litigation Practice Group. 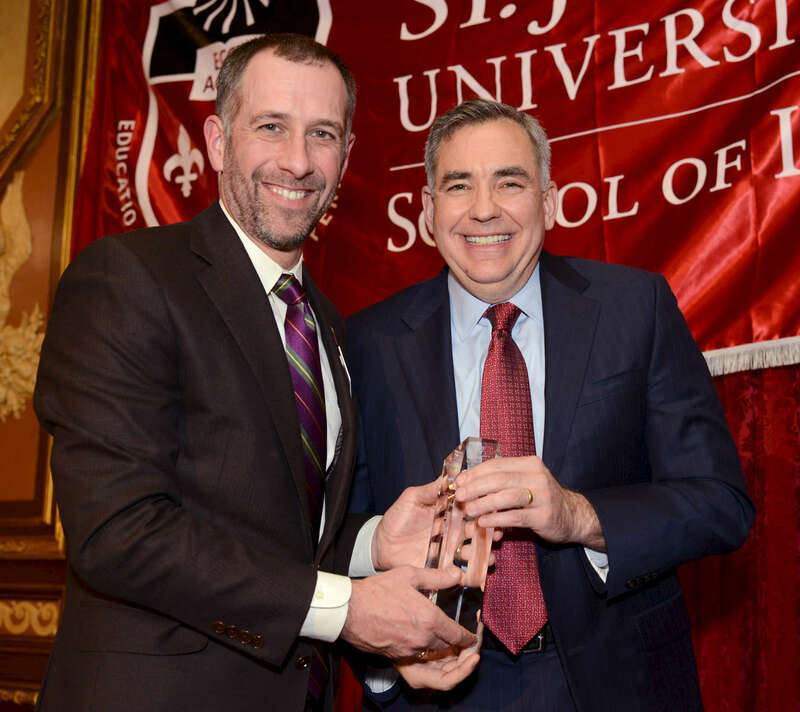 At left is Law School Dean Michael Simon, who presented the award.